What if developers are [cheating] giving you the unreasonably high estimates? That is seems to be the PMs nightmare – your developers are lying to you when they provide you the estimates. For the 1-hour task they give you 1-week estimation and spend the whole week watching youtube videos with cats. HAHAHAHA!!! Are you already scared to death? It also should be a rather common problem, as I often get such a question during the job interview. “Galina, what would you do if developer gives you the unrealistic estimations?”. They ask me and wait for some one-for-all-cases answer. Probably they expect me to say something like “I will double check all the estimates myself/with the other developer”. So I will be a kind of the PM auditor. And then they are definitely ready to ask – “And what if the other developer lies to you too”? Seems to be one global developer’s conspiracy. What one small PM can do against that? My honest answer to all of that is: “I’ll resign ASAP, as I killed that team and should not do any more harm. Then I ‘ll walk outside the office and perform seppuku”. 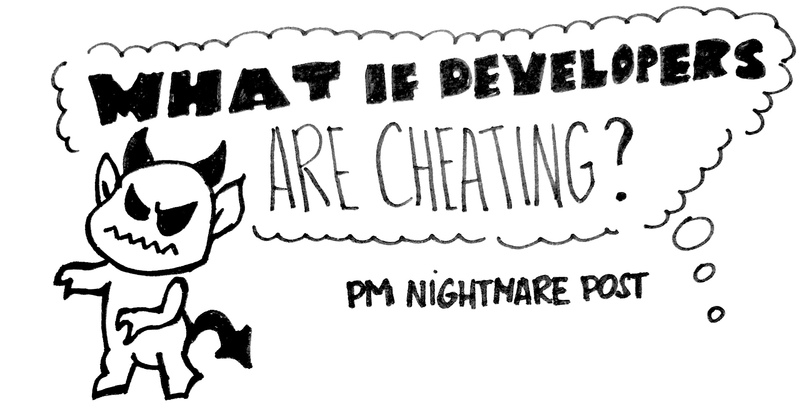 Continue reading What if developers are [cheating] giving you the unreasonably high estimates? I believe that Project manager is here, on this planet, not only for the projects to be delivered in time and on budget. On of the most important things for the Project managers is to care about their teams. In software development I always worked so close with the teams, that I couldn’t imagine I can avoid supporting teams health, mood and motivation. So, let’s talk about monitoring your team health, so you can see the signs of the death coming or any feed back of the system on your actions. By the way, some Project managers prefer to work with zombie teams, as they are so easy to control. 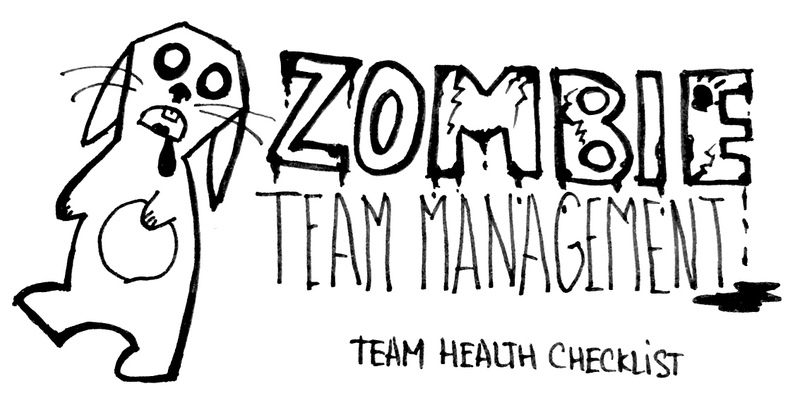 I am not judging, so you can use the check-list the both ways – to prevent your team becoming a zombie team and to make you team a zombie team. 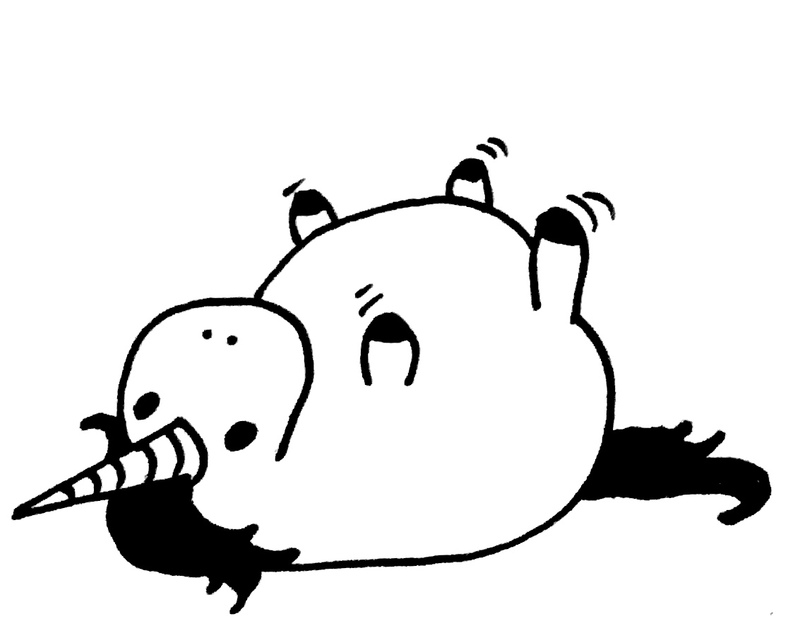 It seems that I hate estimations. Really? Once (ok, let’s be honest, not just once) I was thinking, “Why not to get rid of estimations?”. I heard a lot from the developers in our company that they hate estimating. That is usually a very painful process for a project manager, too. Not only because of the process itself, but because of what happens afterwards. If you worked on more than one project, you definitely know that the estimation your team created won’t be ok for business people. They certainly know that this feature is very easy and that story can be done in a day… Or, “My colleague – he is a developer himself – thinks this can be done in a week!”. They all need hours, exact numbers and deadlines. Team wishes not to provide that. Continue reading It seems that I hate estimations. Really? Working as the project manager in outsourcing companies in our country means that you are responsible for almost everything – writing the specification, creating application prototypes, schedules, plans. Sometimes you can even find yourself writing tests or editing designs. As a result, busy and tired PMs completely forget about their teams. They start treating them as resources. 1 item of development resource. “Hmm…Let’s put this 2 items on this projects and that one will go here. They are from the different offices/buildings? No matter…They are professionals! So they just have to write code.” As people are simply the “functions” they provide. And not even noticing we start using all the tips from “How to prevent teams formation” list. I am sure this scenario will sound so familiar to you. You have a great agile team and great PO overseas. But he can’t devote much time to the distributed team. Yes, you asked him and he tried. But failed – he can’t spent so much time on discussing these user stories. The team starts suffering from the lack of understanding. The user stories are not ready for the development – they are not analyzed and communicated properly. If you ever solved the same issue – let’s continue discussion in the post. I really love games, that is why I am trying to use them in my work life too. When it comes to the serious questions – adopting new processed framework or show the team why it is great to work in a team – I prefer to use games too. It is fun, it is easy and very engaging. When I came across lego scrum simulation by Alexey Krivitsky, I thought – “Bingo! That is what I need.” In addition – I really wanted to buy some lego and could not find any excuse to do that…So it was my chance. I want to share my thoughts on the main project manager/scrum master/leader responsibilities in the team. In the vacancies texts I usually come across the following PMs responsibilities: he should plan, estimate, manage risks, etc. But why our projects are still so often a disaster, nevertheless our PMs are planning, estimating, managing risks, etc and doing that thoroughly? This is a post for PMs only. High risk of PM tricks and manipulations techniques been uncovered. No doubt, PMs write a lot of emails every day and this is one of the main communication channels for us. As we are trying to communicate more verbally now – emails are usually used for discussion of some important topics with boss, customers, users, etc. – situations, when PM should be rather careful with language and phrases he uses in emails 🙂 So it is time to switch on your brains and create the text, that can be understood by the person on the other end. Who can be happier than the PM, who sees the passion in the eyes of the team members? I think, no one) As a real hedonist I try to find ways to help my teams keep that passion. So, let me present my modest observations results.